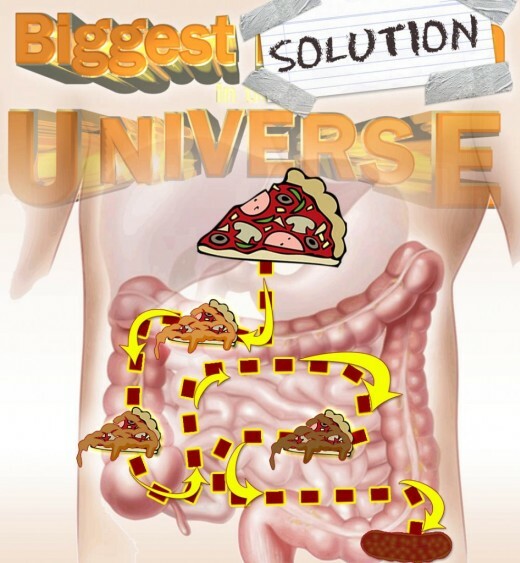 Wagers are made and reputations are put on the line on this episode of The Biggest Solution in the Universe. Shell out your $1.33 to see how much of it Maddox just lost. Also, Angelo's Mom is back to harangue me and this time she has a partner: Angelo's Dad! I bring in Online Trackers, specifically the Pizza Tracker. Soap and online pizza tracking is what makes the difference between civilization and total barbarism. Name something that cannot be tracked. I dare you. Then go vote it up as a solution. Maddox brings in Pragmatism. Things like putting garbage in your freezer so it doesn't stink up your house; and carrying multiple wallets in case one gets stolen; and donating clothes to Goodwill instead of throwing them directly into the garbage. These are the hallmarks of a genius and also a pragmatist. Do you do something weird? Turns out you might just be a huge pragmatist. Go vote it up. We finish the episode with Advertising and get a rare look at why Maddox doesn't want ads on his website. If you're interested in that kind of thing, and want to prove that advertising is indeed a problem, don't just vote it down, also purchase this ad-free bonus episode. Start the countdown and call in with your worst impressions. The 100th episode of The Biggest Problem in the Universe is just eight days away!